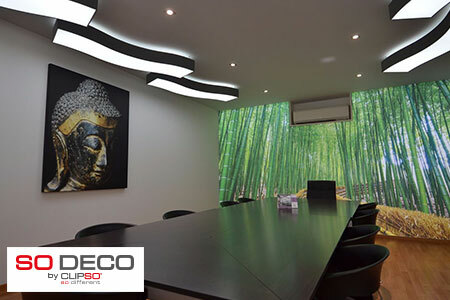 There are many evidence-based studies proving that the visual effects of a room can enhance mood and physiological responses and also promote healing and aid in pain management. 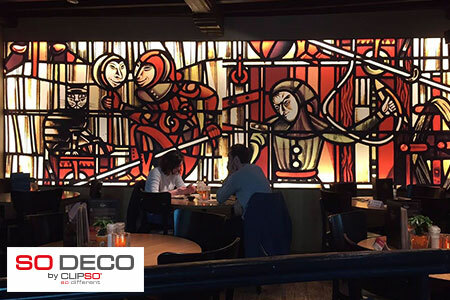 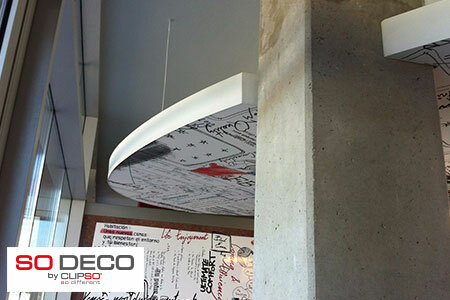 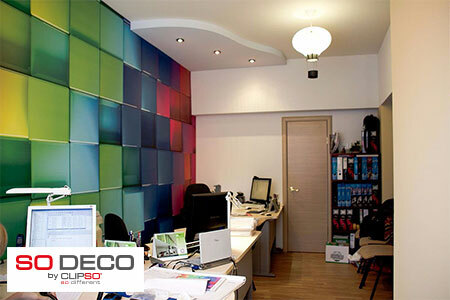 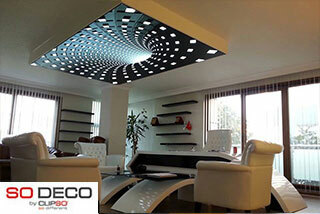 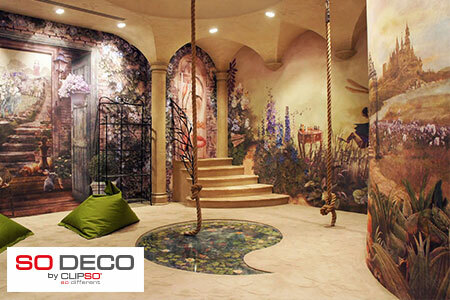 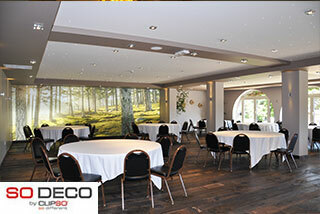 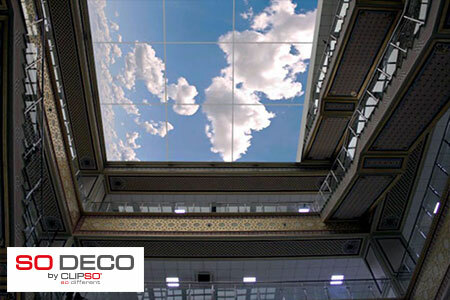 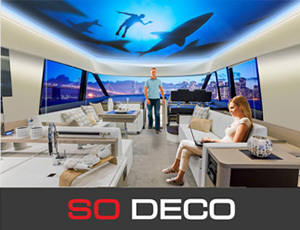 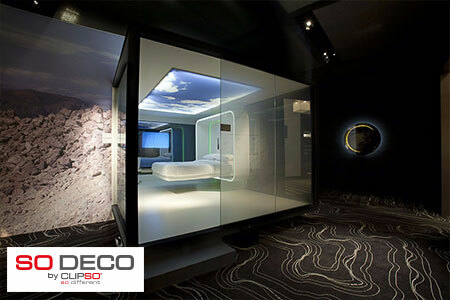 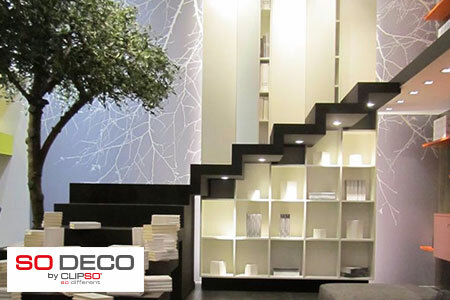 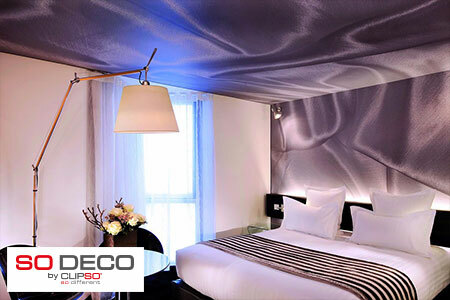 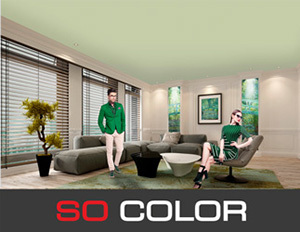 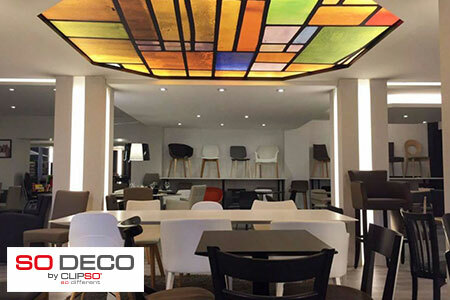 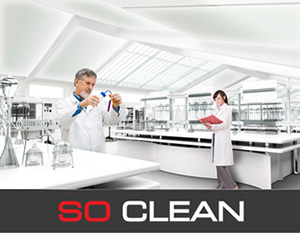 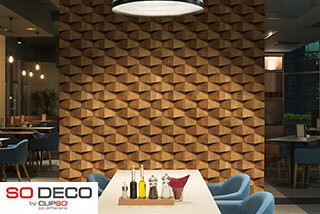 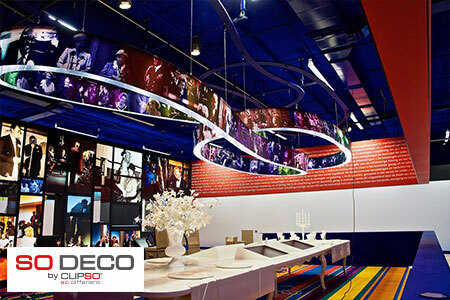 SO® DECO is your catalyst to creating interiors that spark creativity, imagination and healing. 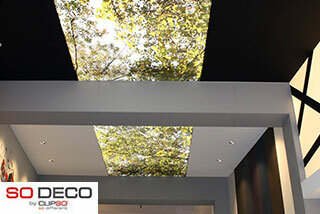 Ever dream of working under the rustling leaves on a warm summer day? 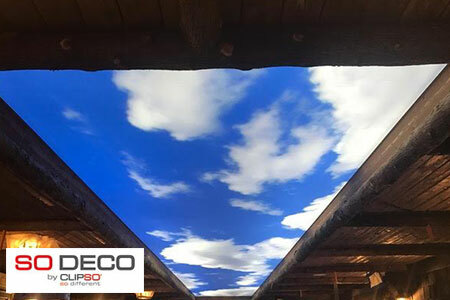 Bring the outdoors in with spectacular images of nature, or create special 3D effects and textures to add whimsy and excitement to your room. 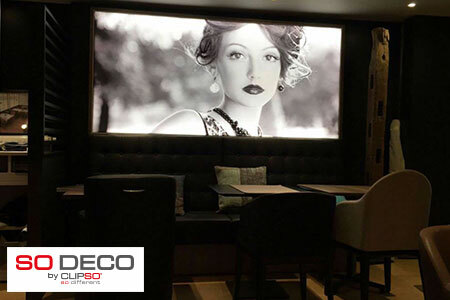 The SO DECO galleries of images have hundreds of images to fit your fancy. 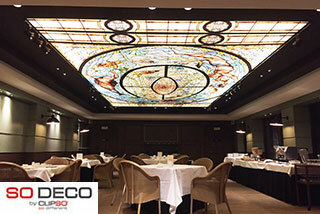 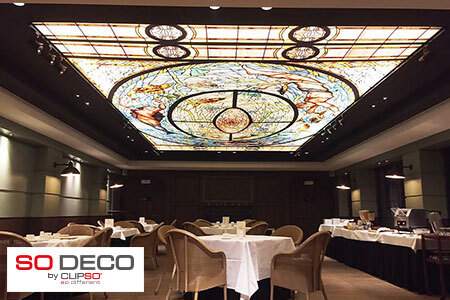 Dine under a beautiful stained glass work of art or add fiber optics to further enhance the ambiance of the room. 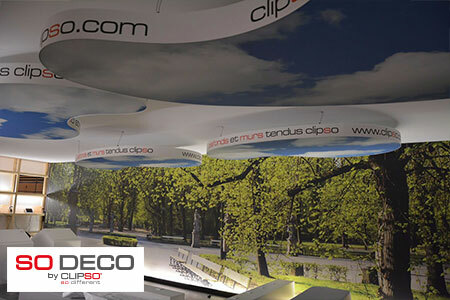 Whatever aesthetic you are looking for, CLIPSO® has got you covered. 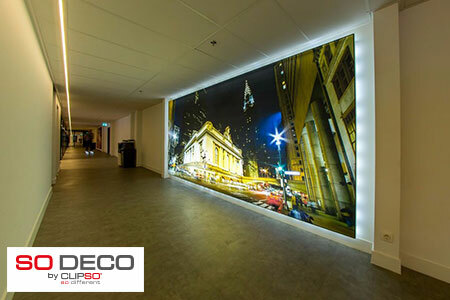 Choose from hundreds of images in our online galleries or use your own brand, design, photography or image. 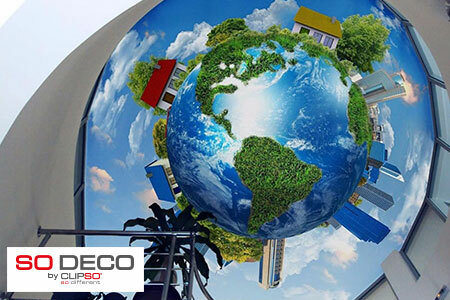 The possibilities are endless… and so is the size potential! 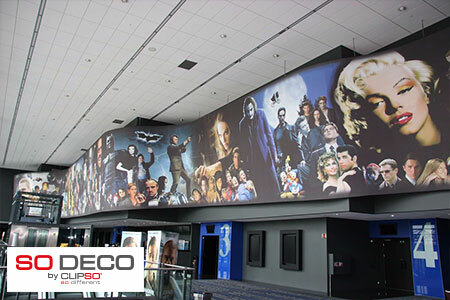 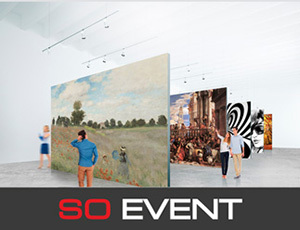 CLIPSO’s wide-span printing capabilities allows you to print an image up to 16 feet wide by 150 feet long without joints or seams, or go even larger by marrying up multiple prints. 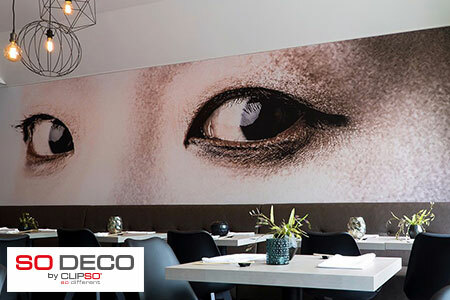 After selecting your image and design intent, it’s time to choose your coverings. 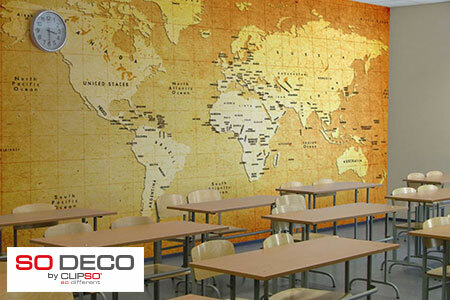 CLIPSO Standard coverings act as a lovely canvas for your imagery and truly bring your design inspirations to life. 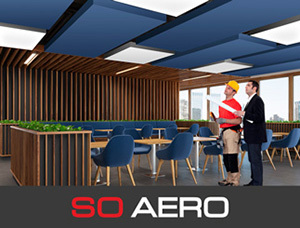 But if acoustics is an issue, select from our wide range of Acoustic coverings to help bring both design and good acoustics to your space. 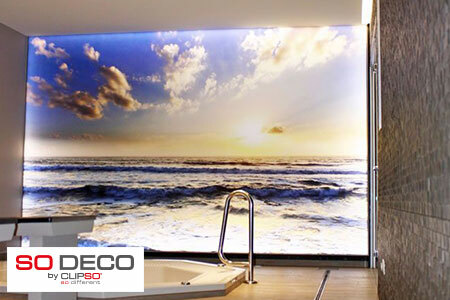 Take your vision to a whole new level with our Translucent coverings! 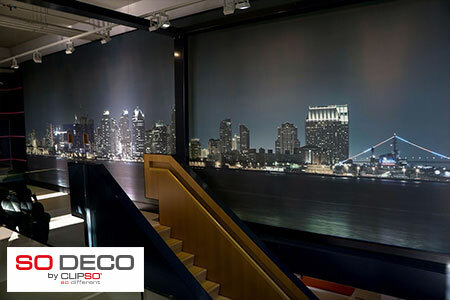 Available in various translucencies from 30-70%, CLIPSO Translucent coverings are the perfect solution for illuminating your printed designs. 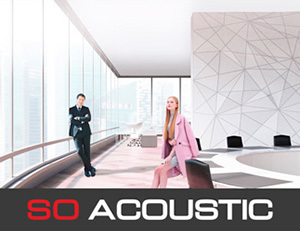 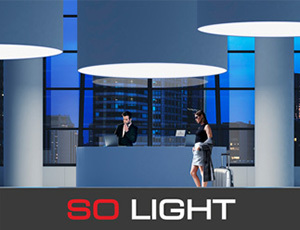 For the ultimate in performance design, choose our Acoustic Translucent coverings. 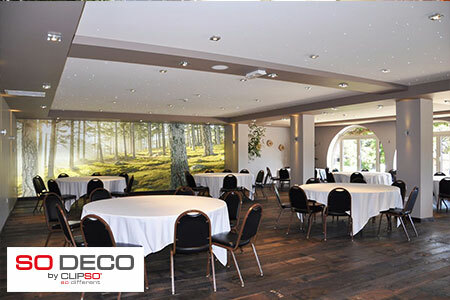 Whether you are looking to provide the general light source for a room, or simply add ambiance, an interesting visual piece, or an acoustic solution, CLIPSO has got you covered! 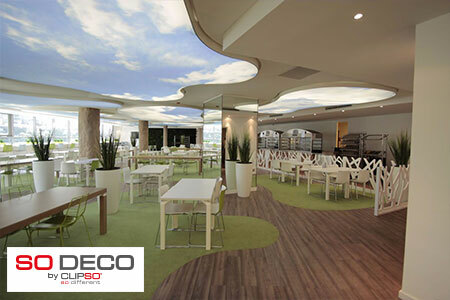 CLIPSO coverings can adapt to almost any interior environment; both residential and commercial, new construction and renovations. 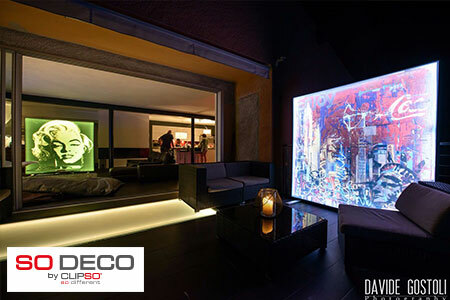 SO DECO provides you with high-resolution galleries of images; from textures, patterns, museum works of art, images, photography and optical illusion special effects. 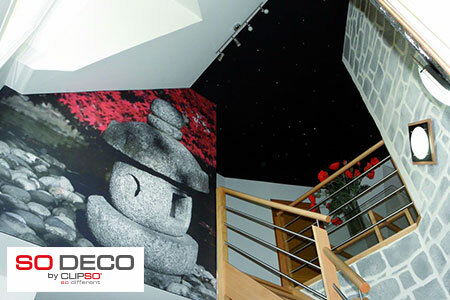 CLIPSO performance coverings are the solution for all of your interior décor needs. 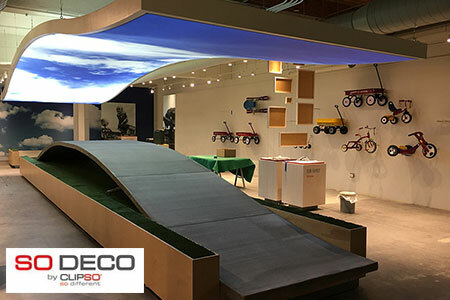 About Us | Contact Us | Legal Notice | © 2018 CLIPSO Americas, Inc.